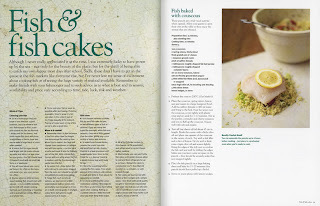 I was on cooking last night and as I had a brand new cookbook to review, The Really Useful Cookbook – David Herbert – Lantern/Penguin (Hardback $60) – I decided this was my chance to test drive it. As we are experiencing something of a cold snap just now, an early taste of winter in late autumn, I went straight to the Casseroles & Braises section and voila(!) the very first dish – simple beef casserole – leapt out as being the perfect option. I am happy to report it was simply divine, not just in my opinion either, the family agreed it was superb. And the recipe was straightforward and simple to make. This is a large, handsome superbly designed and illustrated book as one has come to expect from everything published under the Lantern imprint. 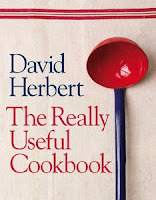 The Really Useful Cookbook is just the latest in a very fine list of cookbooks from this classy Sydney-based outfit. Interestingly enough the author lives and works in London but is especially well-known in Australia for his column in the Weekend Australian. He is the author of a number of well liked books and is editor of Easy Living magazine in the UK. 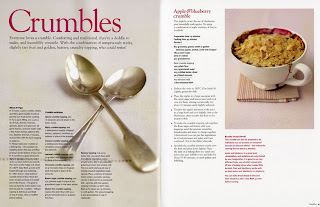 One of the especially appealing and useful features of the book is the list of contents with each section – Breads – Cakes – Casseroles – Crumbles – Curries etc presented in alphabetical order. The dishes are simple and modern and the author’s “really useful” tips at the foot of each recipe are just that, really useful. A wonderful book that I am delighted to add to my cookery book library. This looks like a good 'un. We need hearty casseroles to warm up down here in Dunedin!